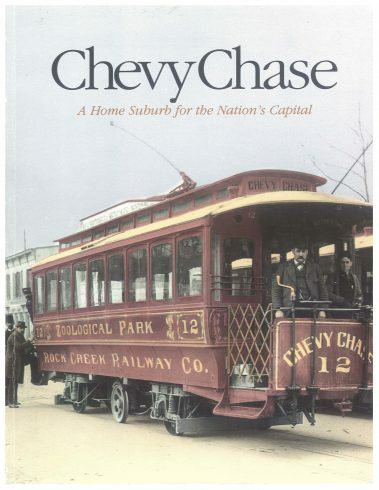 From its initial platting in the 1890s, Chevy Chase was recognized as one of this country’s premier suburbs, and it has maintained that distinction through more than a century of development. More than a simple land venture, Chevy Chase defined the turn-of-the-century suburban archetype. It was planned as a comprehensive, ideal community that incorporated the latest principles in transportation, infrastructure, and public institutions, together with high standards for landscape and architectural design. The subsequent expansion beyond the community’s original bounds is a model of twentieth-century suburban growth. Chevy Chase: A Home Suburb for the Nation’s Capital documents the fascinating history of Francis Newlands’ vision and chronicles evolving trends in American domestic architecture and society throughout this century. An in-depth look at this model community offers a greater understanding of the factors that contributed to this successful suburban development. This richly illustrated narrative heightens our appreciation of the importance to our national culture of the suburban ideal, a novel concept in the 1890s.